I spotted one on rental in Bali in June 2005. And I’m also fairly close to the model because we have owned the saloon version, the ‘Soluna Vios’, (which came first) in Thailand since March 2004. Toyota’s global logistics mean different markets get different engines and transmissions. 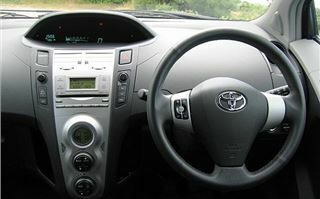 In Thailand all Yaris and Soluna are 110bhp 1.5 litre with 5-speed manual or 4-speed autoboxes. 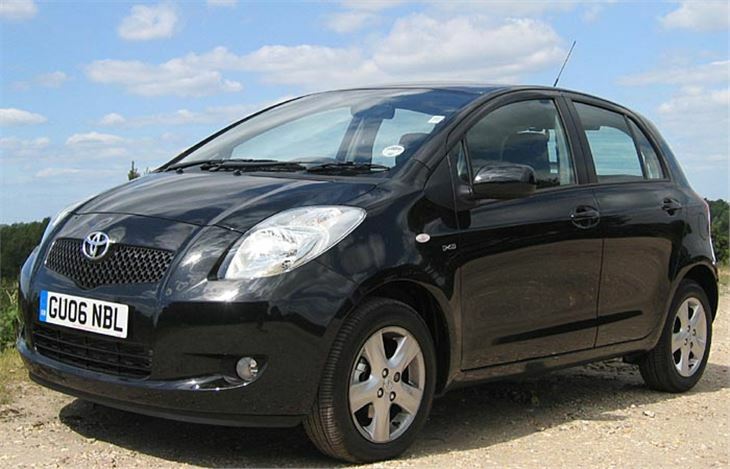 While European Yaris from the French factory come with 1.0 litre three cylinder Aygo engines, 1.3s from the old Yaris or the same 88bhp 1.4 diesels as offered in the MINI One D and Toyota Corolla. There aren’t any true Euro automatics, just an electronically controlled electric clutch posing as an auto, available with the 1.3 and the diesel. And in Europe at least there aren’t any of the previously popular ‘Postman Pat’ Verso versions. Though that might change if Toyota finds it worthwhile to send us the Japanese Yaris Ractis. The bigger body is much better looking than before. The dash is more of the same with a higher quality look, though that illusion is shattered as soon as you open the flimsy feeling plastic oddments boxes either side of the central speedo binnacle. 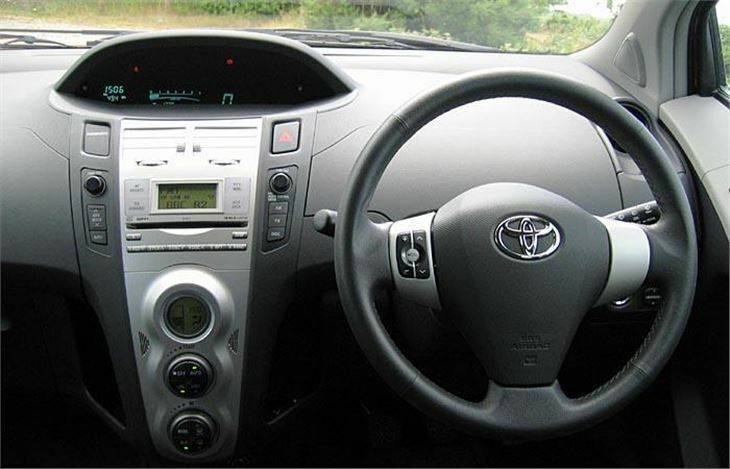 With no instruments fir it to obscure the small steering wheel has a huge range of adjustment for height and reach and, combined with a height adjustable, seat enables most shapes and sizes to drive it comfortably. 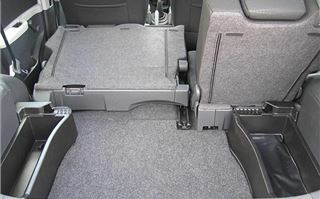 Once again, the two parts of the 60/40 split rear bench slide forward about 6” separately, giving more boot space at the expense of rear legroom. Alternatively the backrests fold flat as the squabs move forward in a cantilever arrangement. You can then fold flaps over the gaps to give a decent, flat-floored load area for a dog to romp around on (though obviously not while you’re driving the car). 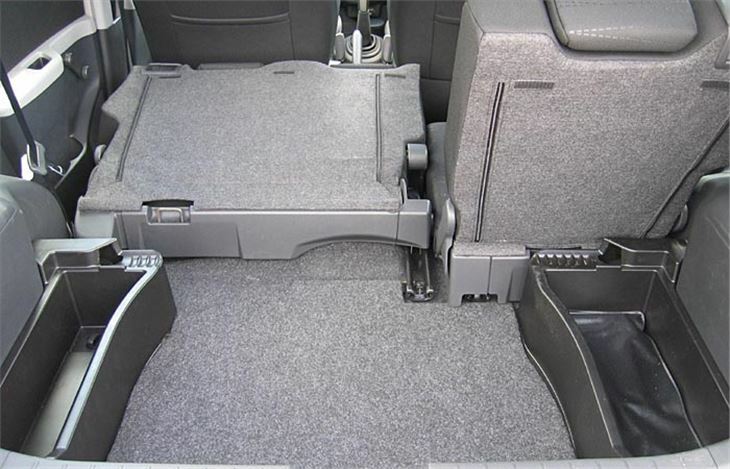 Lift the rearmost floor and there’s a decent size space underneath, split into three, and under that a space-saver emergency wheel. 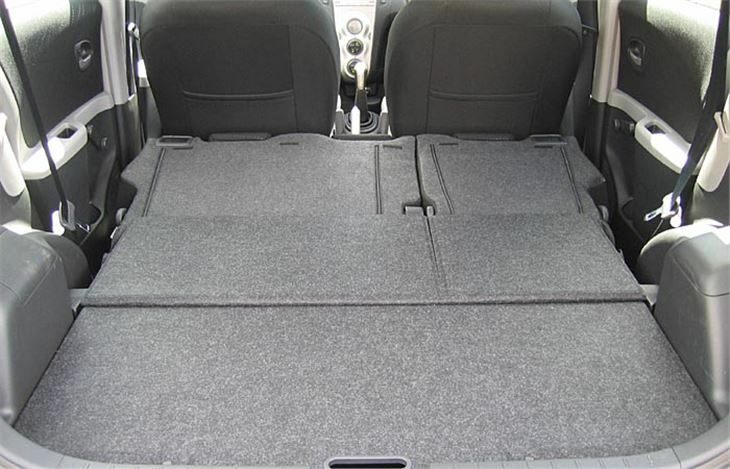 The rear seats also semi recline, and with a flat rear footwell there is plenty of head and legroom for three people. A very nice feature that sets the Yaris apart from other small cars is the way the front windowsills curve downwards then up again. Toyota has pushed the front edges of the front doors as far forward as it possibly could and, as well as making the car exceptionally easy to get in and out of, has eliminated the blindspots you get around the A pillars of some small cars, notably the VW Fox. The 1.3 manual is a very sweet car to drive and sets an example to the rest of the class as to how well a small car can be set up. It steers, grips, rides, handles and takes speed humps very well indeed. Most magazine tests rate the 1.3 best engine in the Euro range. However, since I tested the diesel version of the old model, that’s what I went for this time round. Top models have a Toyota version of ‘keyless go’ very similar to the Clio’s. Instead of inserting a key you just leave the transponder in your pocket and press a button on the door and a button to start the car. The diesel then rather noisily rattles into life. It’s far less refined than the belt-cam 86PS 1.5 Renault diesel in the Clio, Modus, Micra and Note. But it does the job manfully, with no lack of low speed torque, so you soon find yourself rowing along in higher gears than you would usually use. 5th gives you 30mph per 1,000rpm. Without even attempting to drive economically I managed 51.5mpg, so can imagine many drivers achieving 60mpg plus. One minor criticism: the indicator reminder is still a bit quiet (a common Toyota range complaint). 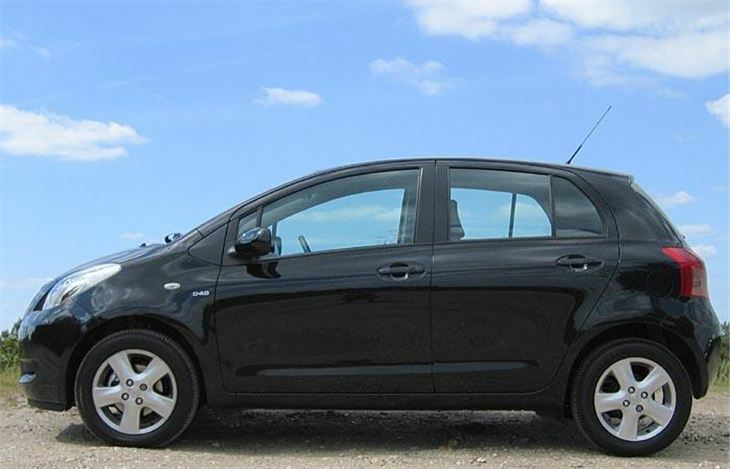 Prices originally started quite high with the 1.0 T2 at £8,610, which could alternatively get you into a FIAT Grande Punto 1.3 Multijet. But they have now been cut to from £7,995 for the new Yaris ION and level off to a maximum of £13,220 for a T-Spirit D-4D semi-auto. 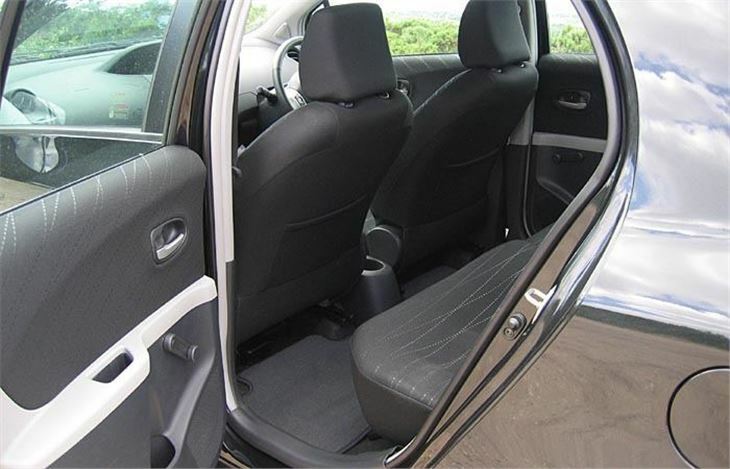 Broker discounts also pull them all back a bit, and you can get into a 3-door T2 D-4D for £9,248, which starts to make a lot of sense. Not as low as the old Yaris diesel could be had for. But a bigger, better, nicer looking car.